WHAT CAN MYOWNARIZONA NEGOTIATE WITH THE BUILDER? When you know as a new home buyer in Tucson that you want to purchase and/or build a new home in a Tucson subdivision, you need to get started immediately. 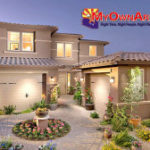 We will make sure you comfortable with what area you are considering and start with MyOwnArizona new home builder pre-registered first. Then our team will go to work for you. 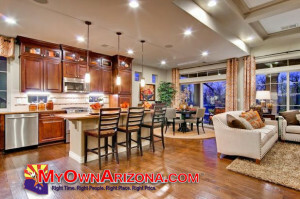 MyOwnArizona will help you to shop all other possible alternative new home developments in the Tucson market. We will present our collection of incentives, upgrades and terms the other Tucson home construction builders are offering and use those to negotiate the absolute best deal for you in the end. Flooring (quality of hardwood or carpet, tile, different colors, more of it, etc) We also ask for tile in all wet areas at no cost if it is not already offered. If it is already offered, MyOwnArizona asks for more. Higher quality Windows from Tucson Home Construction Builder. Light fixtures & Mirrors expected from Tucson Home Construction Builder. Paint colors or type of paint used by the Tucson Home Construction Builder. Plumbing & Fixture upgrades as sometimes you may want things roughed in for a wet bar or a different spot for the washer & dryer or a wash tub in the laundry room amd all of these things can be done much easier before the house is finished. Additional exterior water Spigots provide by Tucson Home Construction Builder. Doors installed by by Tucson Home Construction Builder. Countertops we can sometimes be negotiated with the type, style, color and even get extensions or granite. Appliances we can sometimes negotiate at least a better model of the same brand but sometimes we can even get a totally different brand. Insulation where maybe you want thicker insulation or a different type or how about over the garage. Fencing where some Tucson new homes do not have the fencing as a standard feature and the buyer must pay for a fence. Lot Premiums where some Tucson new home buyers don’t realize they are only paying for the home to be built the land is extra. Landscaping by Tucson Home Construction Builder. Other exterior finishings like the homes Elevation style can even cost more by Tucson Home Construction Builder. DON’T FORGET ABOUT THE PRICE. REMEMBER THE PRICE IS THE BASE PRICE NOT THE TRUE COST OF BUILDING THE TUCSON NEW HOME. IT’S LIKE BUYING A BASIC MODEL CAR. 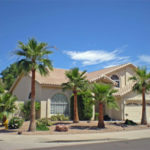 MYOWNARIZONA CAN ASSIST IN NEGOTIATIONS AS IT IS PACKAGED TO YOUR CUSTOM PREFERENCES. If MyOwnArizona isn’t able to negotiate exactly what you want, we will of course start working on a discount on your current upgrade package. While the Tucson home construction builder may be unable to move much on their list price, there might be more room to move in the price of their upgrade package.